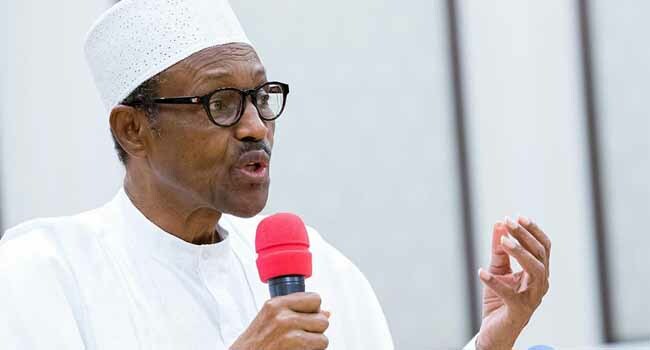 President Muhammadu Buhari has ordered the Inspector General of Police, Ibrahim Idris, to immediately move to Benue State to restore law and order and prevent further loss of lives and properties, from escalating and spreading in the state. This follows the recent killing of innocent people in Guma and Logo Local Government Areas of the state. In a statement by the Force Public Relations Officer, Jimoh Moshood, it says, in compliance with the Presidential directives, the IGP is moving into Benue state with additional Five (5) Units of Police Mobile Force (PMF) making a total of Ten (10) Units of PMF deployed in the State which is in addition to other Police formations on the ground in the State before the crisis. More Units of the Police Special Forces, Counter Terrorism Units, and Conventional Policemen are already being deployed to the State as at this time today to comply in totality with the Presidential order. The Aerial Surveillance by Police Helicopters will continue, while the Police Mobile Force Personnel, Police Special Forces and conventional Police Personnel, the Counter Terrorism Unit (CTU), Police Explosive Ordinance Department (EOD) and Special Police Joint Intelligence and Investigation Teams already deployed to Benue State will carry on un-relentlessly with the patrols and crime prevention activities in the affected areas to sustain the normalcy that have been restored in the State. The Force will not hesitate to deal decisively with troublemaker(s), any group(s) or individual for conduct likely to instigate the escalation of the crisis. The full weight of the law will be applied to anyone arrested for being responsible for the mayhem in the affected areas in the State. While once again, the Nigeria Police Force commiserate with Government and the people of Benue State over the loss of innocent lives, the Force implored them to cooperate with the Nigeria Police Force in this latest effort to restore lasting peace in the State. The commitment of the Nigeria Police Force to ensure Law and order and protection of lives and property of all Nigerians throughout the Country remains unequivocal and unwavering.